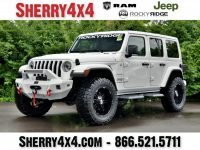 Welcome to Sherry 4×4, here you’ll find a selection of new lifted Rocky Ridge Jeeps and used lifted Jeeps for sale. We also offer competitive financing options and offer nation-wide delivery. Find complete lifted Jeep info below, or start browsing our inventory. 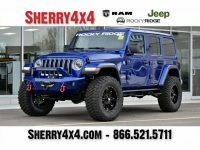 Sherry 4×4 is committed to be the “go-to” resource for lifted Jeeps Wrangler and lifted Jeep Gladiators for sale. Here are some characteristics that make us different from other lifted Jeep dealers. 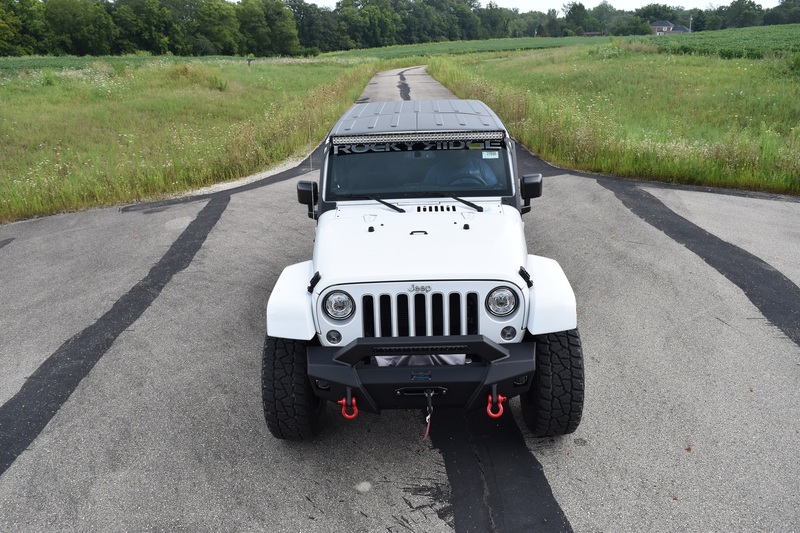 VIRTUAL WALK-THROUGH VIDEOS – We film a virtual walk-through video with one of our experts for every lifted jeep we have for sale! 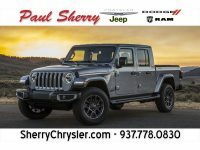 In these videos, we show you all the features available on that particular Jeep, describe or show you how they are used, and tell you how the features will improve your travel experience. 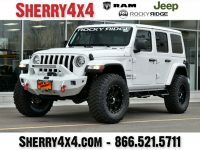 THOROUGH PICTURES – The videos are an excellent tool for learning more about our 4X4’s from an expert, however, good pictures are still the number one shopping tool people want to see when shopping for lifted Jeep online. We try to provide all the shots and angles that you would want to see, and if we missed something, let us know and we will gladly go out and snap a few extra pictures to send to you personally. 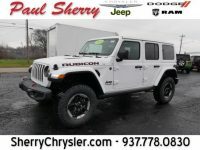 ACCURATE DESCRIPTIONS – Most dealers will write one or two generic sentences, or maybe nothing at all, about the lifted Jeeps they are selling. At Sherry 4×4, we take the time and go the extra mile to write descriptions that actually tell you helpful information about that particular Jeep. We provide accurate information on the chassis, engine, conversion company, features, and more. EASY PURCHASE PROCESS – With financing, warranty registration, titling, and all other paperwork, purchasing a lifted Jeep can seem scary. At Sherry 4×4, we make it easy for you. We can work with you to complete all the paperwork over the phone and through mail, so you never have to leave your home in North Carolina. Or if you plan on picking up your lifted Jeep, we will have all the paper work ready upon your arrival so you can be on your way in no time! 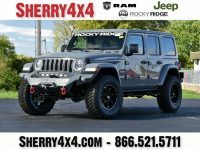 Rocky Ridge lifted trucks and lifted Jeeps for sale are backed with a manufacturers 5-year / 100,000-Mile Powertrain Limited Warranty. The Powertrain Limited Warranty covers the cost of repairs on all covered powertrain components – engine, transmission and drive system. Coverage also includes free towing to the nearest Chrysler, Jeep, Dodge or Ram dealer, if necessary. The warranty is transferable too, so if you sell your vehicle during the warranty period, the new owner will be covered. Plus, a 3-Year / 36,000-Mile Limited Warranty provides bumper-to-bumper coverage of your vehicle, from the body to the electrical system. 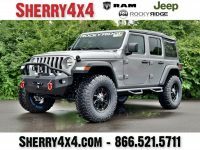 In addition to the manufacturers warranty, Rocky Ridge provides a 3 year/36,000 miles warranty on all up-fits.